Can we please have the option to display assets as a list. 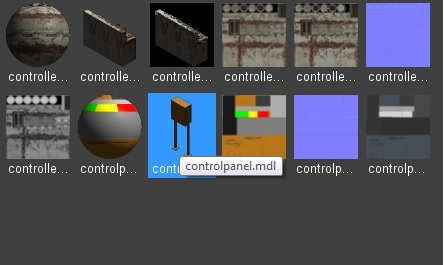 It is really annoying to set the thumbnail to 128 x 128 simply because I can't read the name of a script or model. Making the thumbnails adjustable when using the scrollwheel when the assets tab is focused would be a nice extra, but the list display is a bare necessity in my opinion. 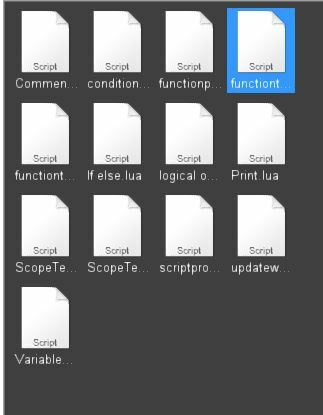 I have no issue with getting a display list as an option, but maybe I am missing something... if you just hover your mouse over the file, a tooltip shows the name. Are you not seeing the tooltips? You do? I must be totally overlooking this then. I can only set a display size. Not at home right now, could you please make a screenshot? Not sure if I see tooltips, but that doesn't really solve the problem of not being able to see the names at once. I know what a list is, and like I said - I am not against that as an option - and it may be a good solution for linux users as I am not sure tooltips work for them . But you said you had to increase the size of a thumbnail to be able to read the name. 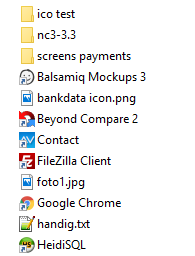 I am just pointing out that you could just get it from hovering the mouse over the file in question. Ah I understand now. I interpretated your sentence "I have no issue with getting a display list as an option," wrong. I thought you mean it as "I can see that option quit clearly on my screen". I honestly never noticed the tooltips, so I will have to check that out. Thanks for pointing that out.